Melbourne folk outfit Tinpan Orange are putting the finishing touches on their third LP, The Bottom Of The Lake, due in store August 17th 2009, through Vitamin Records, it is the follow up to their 2007 gem Death, Love and Buildings. Recorded between two home studios in Melbourne and Fairhaven on Victoria’s Great Ocean Road. Mixed by Adam Rhodes at Sing Sing and mastered by Ross Cockle at Sing Sing, The Bottom Of The Lake is the debut producing effort from Harry Angus (The Cat Empire). The first single off the album, Lovely, is a love letter dripping in the sweetness of Emily Lubitz’s voice and wrapped in the glorious strings of Alex Burkoy. 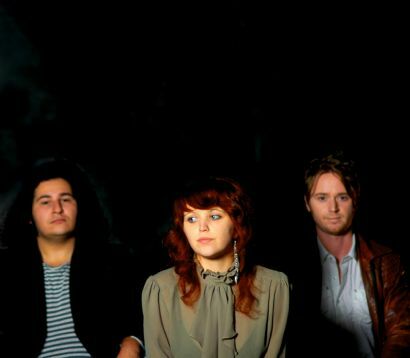 Tinpan Orange are songwriting siblings Jesse and Emily Lubitz, and string maestro Alex Burkoy. They have spent the past year winning hearts at venues across the country and joining the line ups of the country’s biggest summer festivals. The Bottom Of The Lake is due in store August 17th 2009, through Vitamin Records. Tinpan Orange will be touring through August and September nationally.